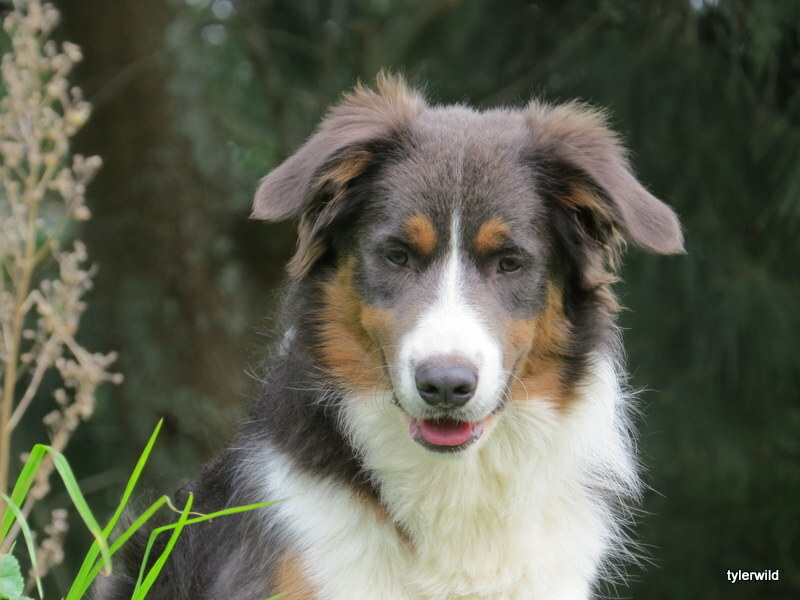 Chico is my fabulous little Imported Aussie Border Collie.. who got nicknamed Dingo on his arrival.. Good to get some new blood into our breeding stock. In March 2014 we went over to Australia and visited a few border collies. It was important for us that we got a dog with a good temperament so the parent dogs were who I went to see. Chico wasn’t born till September and then we had to wait till he was 12 weeks before he could fly over. Dianne was fabulous and kept me updated with photos & stories of his progress and with much excitement I collected him from the airport in December. vet check for the crown jewel’s ! He has been an absolute delight and we are thrilled with him. he is going to be a big dog we think. He loves cuddles(always important to me!!) and is pretty cruisy to have around. The girls all love him.. not so sure about Riley however.. He has the most hilarious little talk. He often does it when I am feeding him. I go through a few commands and its like he is saying “Hurry up Mum” when I ask him.. I smile everytime.. I had a very proud mother moment recently when I saw him have his first ‘man pee’. Chico is developing into a very handsome young man & is a very loved member of our family. Here are some photos of him so far..up to 9mnths of age. 2017 Chico has matured into a wonderful young man. He has a really calm gentle nature and is absolutely wonderful with his puppies he sires. I cant believe the way he allows them to crawl all over him. There aren’t many dogs that would allow that. He watches my every move and when possible he is never far from my side as most people visiting discover!! He is what you might call a mummies boy!! I will have to say the its a mutual love!! He is an absolute delight to have around and I don’t think has a nasty bone in his body.. Sometimes he will be wary of new comers but if the attention is off him they will eventually find his arms around their neck! !